When it comes to putting your items in self storage, you want to find the perfect fit. That’s why we offer storage units from 5x5 to 15x20 in both climate-controlled and traditional storage. Whether you need space to store your furniture while moving, or you are just looking to clear up the garage, we have the right storage unit for you for a competitive price. There’s enough on your mind when it comes to move-in day without worrying about your storage unit. Let us help streamline the process. When you choose to store with Best American Storage, you will have access to our moving truck for free, and our ground-level units with large, easy-to-use roll-up doors make it easy to drive in and start unpacking. When packing for short or long-term self storage, it’s important to pack things well to ensure they are in the same condition you left them in. Our onsite office is staffed with storage experts who are happy to share their knowledge about how to pack well. In addition to handy advice, we also have a variety of boxes, packing material, and tape that can help facilitate your storing and moving. From our beautiful and well-maintained facility to our expert customer service, there are plenty of reasons to choose Best American Storage. 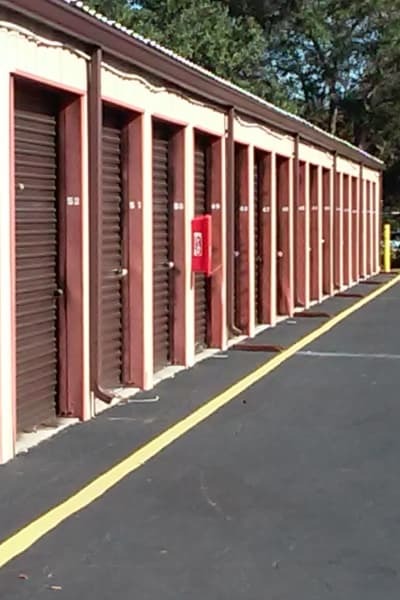 If you’d like to learn more about our business and personal storage units for rent in Tavares, Florida, call us today for a friendly and informative chat.